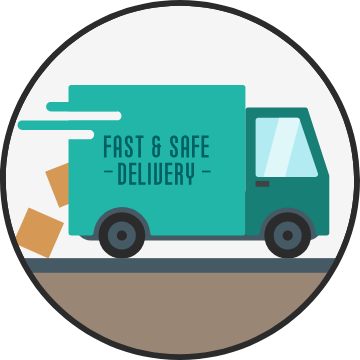 No courier parcel or cargo is immune to the risk of loss or damage. As much as a logistic carrier or courier company is liable to your goods lost or damaged during transit, their maximum liability amount of MYR200 is usually not sufficient to cover your full financial lost. XPRESSCOVER provide All Risks insurance coverage to shippers and cargo owner, from the points of origin to the final destination. We provide cover against loss or damage to your goods during the course of transit by land, sea or air conveyance, in order to keep your business moving when the unfortunate event happened. We cover commodities such as electronics devices, mobile phones, computers, tablets, televisions, kitchen appliances, footwears, baby accessories, industrial tools and supplies, health equipment, books and toys, household goods, sports equipment and many many more (For exclusion click here). The insured (shipper and cargo owner) and the insurer (XPRESSCOVER) are bound by a good faith bond of honesty and fairness. The material facts must be disclosed during declaration for coverage. Ordinary leakage, loss in weight or volume, wear and tear, depreciation. Delay, loss of market, consequential loss of any kind. cargo such as explosives, hazardous chemicals and acids, cash, bank and currency notes, securities, jewellery, and business books. Both shipper (cargo owner or consignor) and carrier (logistic & courier companies) have the obligation and liability to protect the parcel of goods. Shipper must deliver the goods ready for the carriage, which include the proper packing of parcels. 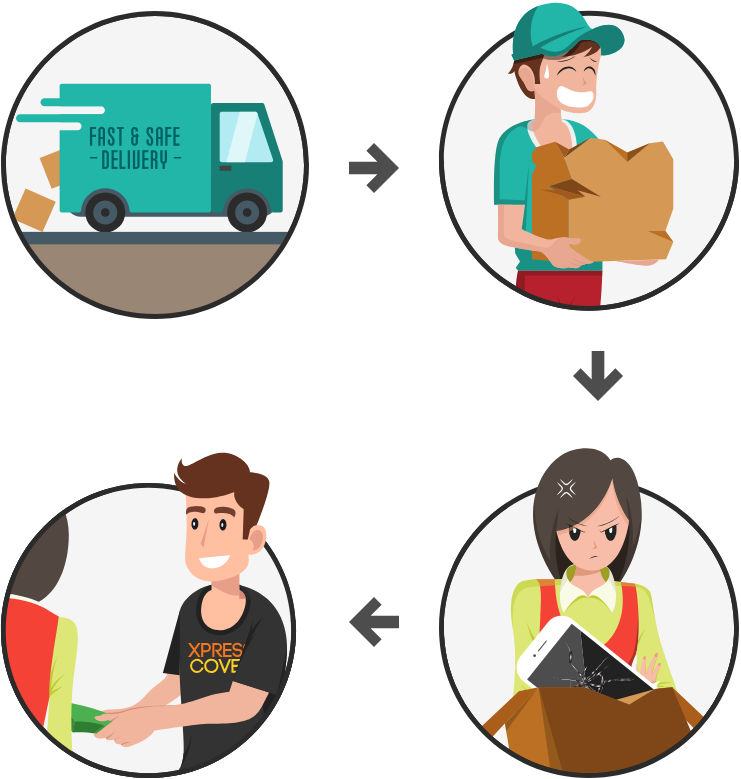 However in the event the parcel is lost or damaged during deliveries, XPRESSCOVER will provide full compensation based on the declared value of the parcel when the insurance is purchased. Under Insured - If the goods is under insured (less than the full market value), insurer will pay out only a percentage of the claim. For example, if one is shipping a laptop with market value of RM5,000, but the declared value during the purchase of XPRESSCOVER insurance is RM3,000 (60% of market value). 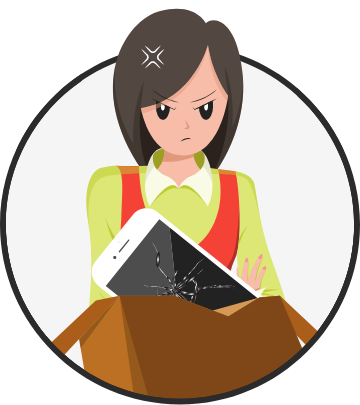 If the laptop is damaged during courier services, and the repair cost is RM1,000, XPRESSCOVER will only pay 60% of the claims, which is RM600 to the shipper. Over Insured - If your goods is over insured (exceeds the actual value), the claim amount payable will not to exceed the value of the goods damaged or lost. For example, if one is shipping a laptop with market value of RM5,000, but the declared value during the purchase of XPRESSCOVER insurance is RM8,000 (higher than market value). If the laptop is lost during courier services, XPRESSCOVER will only pay RM5,000 (replacement cost) to the shipper. - If the goods is under insured (less than the full market value), insurer will pay out only a percentage of the claim. For example, if one is shipping a laptop with market value of RM5,000, but the declared value during the purchase of XPRESSCOVER insurance is RM3,000 (60% of market value). If the laptop is damaged during courier services, and the repair cost is RM1,000, XPRESSCOVER will only pay 60% of the claims, which is RM600 to the shipper. - If your goods is over insured (exceeds the actual value), the claim amount payable will not to exceed the value of the goods damaged or lost. For example, if one is shipping a laptop with market value of RM5,000, but the declared value during the purchase of XPRESSCOVER insurance is RM8,000 (higher than market value). 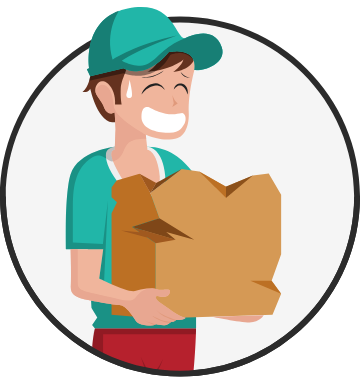 If the laptop is lost during courier services, XPRESSCOVER will only pay RM5,000 (replacement cost) to the shipper. In the event the lost value, repair cost or salvage cost of a damaged goods exceeds its insured value. Such a loss may be an "actual total loss" or a "constructive total loss". XPRESSCOVER will offer a "total loss" settlement to the shipper, and retain the rights of the goods.